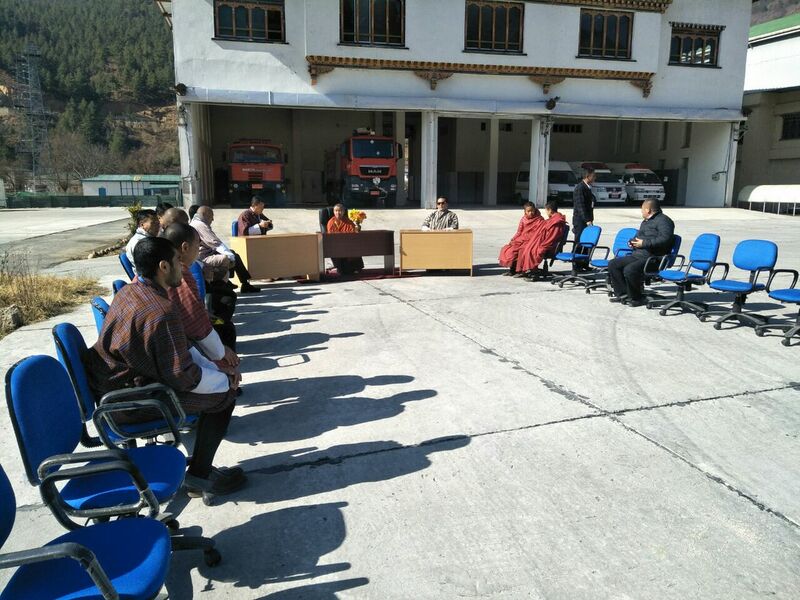 Hand taking of New Fire Truck was held on 23rd January 2018 between CEO (Ugyen Trading) and Director(Department of Air Transport) along with the Official from Airport Agencies. 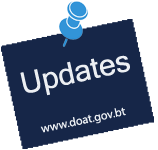 In accordance with the provision of ICAO annex. 14. Doc 9137-AN/898. 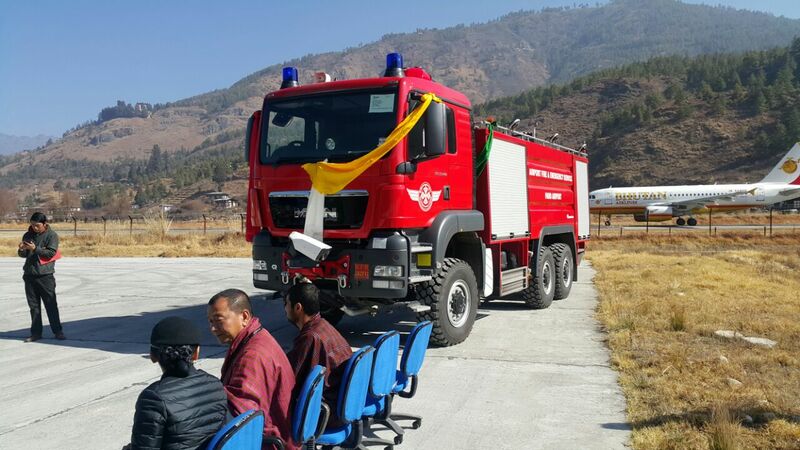 The Department of Air Transport (DoAT) is required to provide Rescue and Fire Fighting Service (RFFS) to all the aircraft operating in and out of Paro airport of category 6 level protection and category 4 level protection for domestic airports to meet ICAO standard and safety requirement. These technical specification outline the features of the Crash Fire Tender (CFT) on Rosenbauer MAN or equivalent imported chassis (6X6) powered by not less than 480 HP (Euro-3) having sufficient acceleration power determined by ICAO. This vehicle is for the rapid control of major fire fighting and to facility rescue operations in the event of an aircraft accident in line with ICAO recommendations. When it is fully loaded, it should be able to drive on airport runway and over rough, soft or sandy terrain in the immediate vicinity of the airport. Irrespective of whether the CFT is on run, whether it is maneuvering forwards or backwards, full, uninterrupted pump operation should be possible and the vehicle can discharge foam from the monitor immediately it comes within reach of the fire.